Professional photographers and artists can now easily create prints on larger formats such as banners with the new Epson printer, the SureColor SC-P800. The A2 model that comes with an optional roll paper unit can also be used to create other documents like the synopses, presentations and renderings. The printer uses Ultrachrome HD ink, a new nine-colour ink-set, which was first used in the SC-P600 A3+ photo printer. The ink-set produces a large colour gamut and the deepest blacks on the market, meaning users can print photos with a stunning range of accurate colours and dense blacks. Furthermore, the ink-set has improved light fastness, meaning prints will be more durable and will last even longer. The SC-P800 is the successor to the hugely-successful Stylus Pro38xx Series of photo printers. This new model is the first and only A2 desktop printer on the market with a roll paper option making it easier for artists to easily print large panoramic photos on non-standard formats such as banners and gallery wrap canvas. The SC-P800 comes with additional features like the 2.7″ colour touch panel to help users easily switch between printing on different medias and monitor the status of important print jobs. Three paper paths, including a new front-loading fine art paper path, will mean a hassle-free paper loading and easy switching between different media formats. The printer also uses large 80ml ink cartridges, making it ideal for large photo print runs and meaning fewer trips to change the ink. The new modern design gives the SC-P800 a high-quality look and feel. It also has the smallest footprint of any A2 printer on the market, meaning it fits well where space is an issue, at home or in the studio. Advanced connectivity features gives the SC-P800 added flexibility. It is the first 17″ A2 printer with Wi-Fi for easy wireless printing from around the home or studio with the inclusion of Ethernet and 2.0 USB connection. 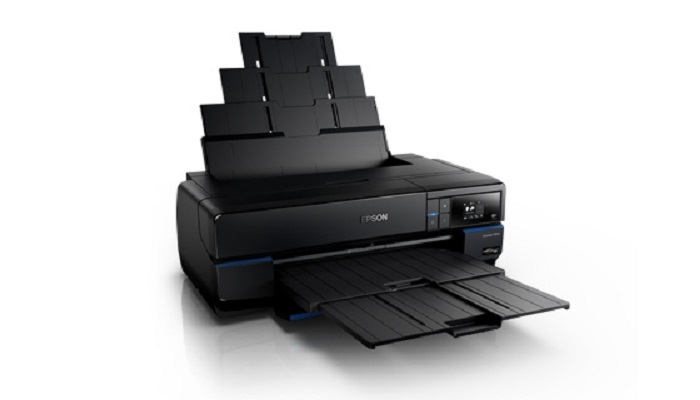 The SC-P800 also supports Epson Connect for easy mobile printing from a range of devices including tablets, PCs and smartphones. You can even print photos from your chosen device without a wireless connection with the Wi-Fi Direct connectivity.